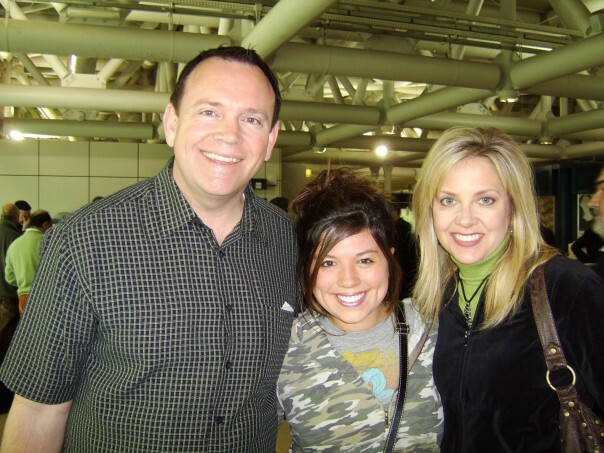 Me with President of SAGU, Kermit Bridges and his beautiful wife on a university trip to Italy in 2006. When I was just 13 years old I found myself on my knees, face down, crying both tears of repentance and joy. A year prior to this I was struggling to find myself as a 12 year old girl. I wanted to be popular and that was all I wanted. I was consumed with how to be cool, what to wear, how to make the right kids like me and my parent’s Christian faith was cramping my style. I didn’t mind Jesus, but I thought of Him sort of like a relative who my parents seemed to really love, but I never met him for myself, so I didn’t care either way. That all changed the summer after I turned 13. My mom and dad had been dragging my sister and I to an Assemblies of God church 30 minutes from our home because it was known to have an exceptional youth program. The youth leader was a young guy in his thirties who wore a tie dye t-shirt, had a strong Kentucky accent which stood out in Western PA, bleach blond hair, and a “no shame in my game” approach. It was easy for him to grab my attention because he was cool. He told us stories about his party days in high school, his athleticism, and the girls – oh the girls. He was fluent in our teenage language and knew how to relate to us. Perhaps the best thing about him was that he was as crazy as we were, never hesitating to get involved in shaving cream battles, pranks, and sliding down mile long slip and slides. He made Jesus look cool and because all I cared about was being cool, he sparked my interest. Not long after we started attending this AG church, my mom asked me if I would like to attend a youth convention with my new youth group. I said yes as any 13 year old girl would, thinking I would get some freedom from my parents and knowing I had nothing better to do. Right before the convention, however, my mom informed me that the convention took place over a holiday break and I was furious because I would have rathered spent time with my friends then go on some “stupid” retreat. My mom basically said, “too bad, too sad, I already paid so you are going.” Little did she or I know, that weekend would change the entire course of my life. I don’t remember much about the AG convention except that is was being held in an arena that held thousands of teenagers and that we had a service each night. The last night I was there, something in my heart shifted and my eyes could finally see. I don’t remember what the preacher spoke on that evening, but I do remember him having what us AGers like to call an “alter call.” My heart began beating out of my chest and I knew Jesus was asking for my life and I wanted to give it to Him. I walked forward, fell to my knees and sobbed for what seemed like hours. As I was on my knees the Holy Spirit spoke to my little heart and told me that I was called to be a minister. That day, I did not just stand up as a new Christian, but as a tiny minister who was ready to preach the Word of God to anyone who would listen and that is exactly what I did. My whole life became about making Jesus cool and my greatest joy in life was leading my friends to Him. Together, my girlfriends and I rocked our high school for God and I began preaching as a teen. The AG church fostered my calling, never once told me that “girls can’t be preachers or leaders.” I had never even heard of complementarianism (the belief that women should not lead, preach, or teach men) until I was 18 years old. I am immensely grateful to the AG church for that. After a two-year Bible school program at Christ for the Nations Bible Institute, I attended Southwestern Assemblies of God University down south. I graduated with a BS in Church Ministries thinking I would be able to find a full time job in church ministries other than children’s ministry and I never did. I have been a graduate of an Assemblies of God University now since 2006, have applied for jobs in Colorado, Virginia, and Pennsylvania and have yet to find a full time ministry job (other than children’s ministry) inside or outside of the AG church. I have noticed that many of the male “ministry majors” I graduated with have found jobs and most of them do not have a theological master’s degree as I do. I have noticed that the women who I graduated with are mostly serving as children’s pastors and teachers at private Christian schools. I personally have been both a children’s pastor and a teacher at a Christian school because these were the only jobs I could ever get. I look around at all the local AG churches and I see many male pastors and little to no female pastors (with the exception of children’s pastors and pastor’s wives). I know that the Assemblies of God tradition has a rich heritage of equipping and honoring female ministers, but I fear our denomination has become apathetic about putting our beliefs to practice. My hope is that leaders in the Assemblies of God Church would start being intentional about hiring a female pastor for every male pastor they hire, honing in on equality in a way they have never done. Women with theological degrees and a calling from the Lord to lead in the Church are giving up on applying. Many complementarian churches are actually writing “males only should apply” on their job descriptions. You will have to draw out qualified women and make it clear that you are searching for female candidates because many have grown convinced that it is a waste of their time to even fill out an application. If women are not applying, it is not because they don’t want to lead, it is because they have been told in both words and actions that men are the preferred leaders in the Church. I can say this to you my dear AG friends because you understand the prophetic; the time is now to allow your daughters to prophesy as Acts 2:17 suggests. We are in the last days and both the sons and daughters of God need to hear the female voice. Will you honor our tradition and put more women who are called and whom you have equipped at the decision making tables, in your church pulpits, on your pastoral staffs, at your general assemblies, at your universities and at your youth conventions? There just may be a 13 year old girl sitting it your pews hoping that someday she will be able to fulfill her calling in Jesus’ Church or a 20 year old woman sitting at one of your universities dreaming about serving as a pastor someday or a 31 year old female blogger hoping and pleading for better days for women in ministry in the AG church and the entire evangelical church alike. Let it begin with us. Love this! You are truly a pioneer & that is always a hard journey! I hope one day your voice is heard in a church. In the meantime Abba is using your voice. Mightily. To those of us with no home right now. You were called to minister it will happen! Patriarchal and complimentarism systems are falling. Courageous and much needed post. I am grateful your mom signed you up for that conference & made you go but most thankful you answered the call on your life. Thanks for defining complementarianism as I wondered what it was when you used it before. Never knew that legalism and discrimination had such a fancy name. I know there is a place for you so I will pray that divine appointments occur for you. You are a refreshment to my soul, Jory! This is an important issue. It is very surprising how many male pastors believe theologically in women in ministry yet do not do anything practically to see it in their own church. I agree Justin. I have been concerned that many female affirming denominations are not practicing what they preach, which may be just as bad as being non-affirming but at least practicing what you preach. Hello, my new friend. Maybe we can change this together. Shoot me an email, and let’s talk. We don’t see this problem as often in the Hispanic A/G churches, which is strange considering the machista culture many Latinos grew up in. I know of two Hispanic A/G churches here in my state with female lead pastors. In several others, the pastor’s wife also holds A/G credentials and they serve as co-pastors as a couple. I think it was the 100th anniversary celebration services in Springfield last year, where one of the speakers was a single female church planter from California. If I recall correctly, she too was Hispanic, though I don’t know if the church she planted was part of the English-language or Spanish-language district. Maybe church planting with AGUSM might be a door open to you? It would be a lot harder than just hiring on at an established church, but it would carry on the pioneer spirit of many early AG women ministers. I stand in agreement with Joey Micah. My husband and I left our severely legalistic, patriarchal church over 8 years ago. We have been loved and embraced at a wonderful, thriving AG church where my gifts and calling have been affirmed and encouraged. I will graduate from AGTS with my Master’s in May (Lord willing), and, due to my background, this is an area of huge interest and concern for me. Thank you for writing candidly without vitriol as we try to exhort those in our fellowship whose theories do not always coincide with their practices. I pray that God provides amazing opportunities for you that He has crafted and tailored specifically with your gifts and experiences in mind. This message holds so much meaning for me. I was also called to ministry at 13, and I have been brought up in the AG church. I have been questioned and criticized on my call to ministry by many of those around me. Complimentarianism is not uncommon in my rural Missouri town. I am in the process of applying to Evangel University to major in Church Leadership and am so excited for the plans that God has for me, but I have often struggled with how I will be successful in ministry as a woman. I don’t have it all figured out and I still have fears sometimes, but I have a calling from God and I will be faithful to that. Thank you so much for sharing your experience. It is a point of view I much needed to hear. Powerful post, once again, Jory. it’s women who don’t just accept the status quo who see the power of God break through on behalf of women everywhere. This is a profound and powerful article and a topic that my friends and I have been discussing passionately over the past few years. I for one have become tired of people limiting me to serving in areas strictly of administrative duties or assisting roles. I understand the need for those positions and am in no way saying that I am “above” them, however I do have an understanding of the calling God has placed on my life and it goes beyond the normal realm of what “women in ministry” stereotypically do. I am SO with you girl! It is time for change in the Church! Great article and important topic! Women can be excellent ministers as well as men, which the Assemblies of God has always championed, even when other churches (denominations) were not. That being said, I wonder if the issue has more to do with our biological nature as male and female more than any other reason. While I was a youth pastor, another youth pastor friend recommended a book called “Why Men Hate Going to Church” by David Murrow. It was years ago, but I remember reading a section he had written where he posted a lot of data from psychological and sociological studies, especially as regarded children. What they found overall, was that girls often want to be involved in things that boys are interested in, but boys rarely are naturally bent towards doing “girl” things. This bleeds over into adulthood where men aren’t generally inclined to deal with issues the way most women do, among other things. Actual studies have shown that churches where women are senior pastors generally attract fewer men, and the men they do attract are what many would call “soft” men. On the flip side, where you have a strong male lead, men will come. He does a much better job showing the details than I could get across here. And I’m not saying that this can’t or won’t change with time. I’m just bringing it up to address that the issue may be more in our DNA than in some construct or subconscious war against females (which is what Dan Brown of DaVinci Code fame would have us believe). Murrow’s book is an interesting read for anyone wanting to look more into the male mind as regards church leadership and attendance. May not solve the problem, but may help people to see the reason why churches in an organization which allows women in leadership across the board has not changed much in this regard. I was around and in ministry when Doug Murrow’s book came out… and I bought into it for a time, as so many of us did. However, as time has gone on and I have not only been in church leadership for over 30 years but have also seen many female senior pastors (Naomi Dowdi – Singapore has thousands, Pat Francis – Canada has thousands, Amy Walker – Glasgow, myself – UK and a large number of others in many nations, especially those in which the Church is persecuted, such as China and Central Asia) I have found Murrow’s stats to be flawed, as so many stats are. We tend to collect and gather statistics according to what we find in them, and Murrow has done just that. Men and women are drawn to leaders who inspire them, whom they can trust, and most importantly, who will lead them… there are many women who do this. Murrow was advocating for a ‘man’s church’ is a more sophisticated way than Driscoll, but with similar biases. Truly, Jesus isn’t a ‘man’s man’, He’s the Son of God, called to bring freedom to the captives… draw whatever inferences you can from that. Bev, I respectfully disagree about Murrow’s stats. In his book, He uses raw data, much of which came from non-Christian sources and studies which had no bias. His point in the book is to show what is a factual reality. You can say he is biased in his opinions, but you can’t argue with the facts. Just look around. Everything he states in his book can be seen through observation. He shows why many men don’t like to attend church, and he makes a very sound argument related to the way men are wired in their DNA (being a male myself, I might have a little insight here). But this doesn’t mean that there aren’t successful women pastors or leaders. And it doesn’t mean there can’t be more. And Murrow would agree with you regarding the fact that people are “drawn to people who inspire them…..who will lead them.” He even talks about this issue in his book as regards some of the great female leaders of countries around the world. He notes that these women were exceptionally strong and decisive in their dealings, even with men. Therefore, it was easier for them to garner male support. Margaret Thatcher was known as the Iron Lady for a reason. Gilda Mier of Israel was another example (she was a tough cookie). Even in Israel’s history there were mostly male leaders, but every once in a while someone like a Deborah would rise up and be the leader. This shows that people aren’t against female leadership, but rather that that leadership has to have a certain quality to it in regards to how things are handled in the organization (country, etc) which that person is leading. Once again, that I don’t think that anyone in the A/G is intentionally trying to keep women suppressed in the same way that some southerners used to try to keep black people suppressed. It doesn’t seem to me to be an intentional plot. It seems to me to be a natural outcome of who we are, male and female. I don’t agree that it’s a natural outcome of who we are, regardless of gender. I have personally mentored scores of men and women into leadership. Many of the women were just sitting in the back blocks, on the church ‘benches’ so to speak. When someone (me) came along and not only provided the church with a role model, but also leadership mentoring, it was amazing how many of those women soared far beyond anything that was expected of them. Many women leaders, especially those married to the main man, have operated in a similar way to the ‘magician’s beautiful assistant’. Mostly this is because of enculturation. When, for multiple reasons, there arises situations in which the beautiful assistant must lead, they are often shown to be better leaders. Susannah Wesley is one such woman, whose husband never had the drawing power that she did, but that was only discovered because he left his parish for months on end in her care while he had business in London, and was greatly disconcerted to find that she had far greater ministry success than he did. Had he not left the parish though, it would never have been seen. The only churches I have seen that have mainly women in the congregation have been main line churches, mostly with aging congregations, and to me this is a different type of church than the ones we are discussing here… which I assume will be mainly pentecostal, considering we are discussing AoG. Just my thoughts, but while I found Murrow’s points to be well thought out (bearing in mind it was a couple of decades ago that I read the book) as time went on and I gained my own experience, I found them to be flawed. You may inhabit an entirely different church type than I do however, so I concede that your experience may be different. I don’t believe this is a DNA issue but a cultural one. Our western society has long pushed that having female attributes equals being weaker as compared to men. Sexism is still very much alive and in many ways the church holds on to this. There are psychological studies done on this but not because humanity has a predisposition to following male leadership. We have a culturally enforced disposition that women are weak and by default men have been the “preferred” leader. Thankfully, I think we’re on a good path to finally remedy this, but we still have quite a long way to go. I think you are on to something. You can call a boy/man anything or criticize him, but God forbid, do not suggest he is anything remotely feminine or does it like a girl. Why? Because women are seen as inferior and completely other so much so that to say one does something like a girl is a put-down. As Jesus’ royal envoy, we should actively undermine this pervasive view and work to honor males and females as God’s image bearing vice-regents. I am a female lead pastor of a healthy thriving AG church. I, too, have read Murrow’s book and picked up some good tips on making sure my church was “man friendly” but I would love for him to visit our church and meet some of our folks. Currently, the makeup of our church of 200 is 53% male. That is higher than the national average. My men are not “soft.” I would challenge Murrow to imply that characterization to the Air Force Colonel on my board or the Special Ops guys, construction workers, mechanics and police officers who call me pastor. The head of our “kitchen ministry” is a very manly retired Army cook who leads his team quite well, thank you. Our leadership boards are fairly equally served by both male and female. 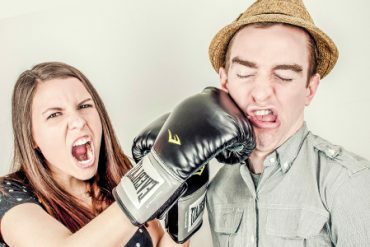 It has been a long road to get here but I can say that the issue of “male vs female” in church leadership has become, for the most part, a non-issue in our church. Our philosophy here for placement in ministry is based on gifts and calling rather than gender. We’re just regular folks coming together to love God, love each other, and bring hope to our community… and we like working on that together. 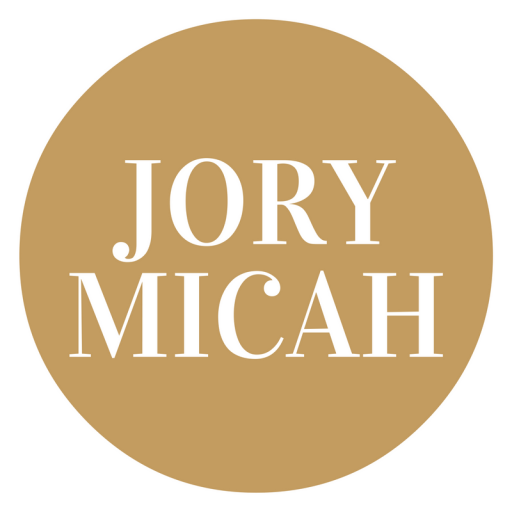 I am praying for you, Jory….God knows what He is doing. He knew you were a woman when He called you. Be open to the ministries that He places before you, do them in His anointing…..and then watch what God will do. You WILL be amazed! Ruthie, I love that you have offered to respond to a holler! That’s sisterhood … love it. I echo your struggle. When I first graduated from North Central University (then Bible College) I was convinced we needed more female leadership. I began with a church I served as an assistant and found the conversation hard when it came to even putting women on the board. When I planted a church I immediately had women as elders and deacons. (Church planting sure helps!) When I came to my current pastorate over 17 years ago, I was grateful that my board was completely open to women on the board. We’ve had that privilege almost all of my ministry here. My youth pastor is female. When she came on staff, she was one of the first in the state (MN) and it has been an incredibly hard road for her. She has made her way into district youth leadership and has mentored many more young women who are now youth pastors. I have to say it’s an incredibly slow process, but in my district we’ve seen a bit more progress. We actually selected a female presbyter for our district board for the very first time. I am so thankful! 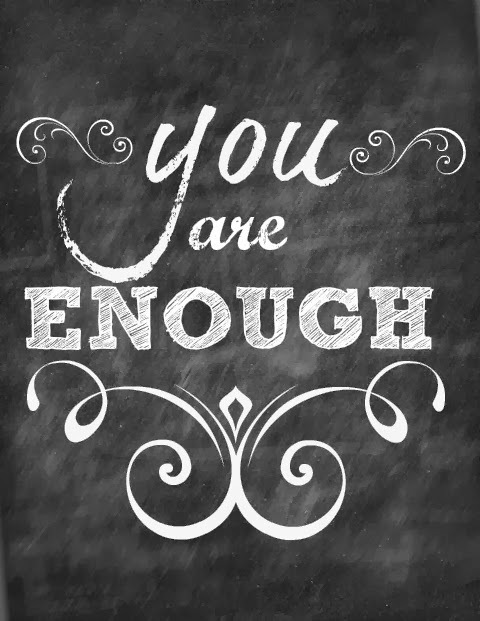 It is frustrating to see a denomination who espouses the philosophy of women in ministry, and brags of its history, but when it comes to a man hiring a woman, or a church hiring a woman as lead pastor, we just slow up. My hope is that you keep pressing in and find someone who will help plow the way for you as well. I am wondering if the problem in the AG could be that they still teach hierarchy in the home. I am AG and that is very frustrating to me. I do not know why they cannot apply the same logic to the marriage that they apply to ministry. Yes Patti, I am pretty certain this is a large reason why! Jory, it is so encouraging to see such a robust conversation about this topic. I believe that SIN keeps many from considering women for leadership. I believe that SIN keeps many wanting to keep women tightly tucked away in strictly defined roles. We will never do away completely with the effects of sin in this world. Sexism is not new; it’s as old as the curse. But by the grace of God, we can make strides towards Gods heart in male female relationships within the church. This is a movement. Ultimately, God’s will is going to prevail. Thanks for your post. I saw it on Facebook from a friend of mine. Your perspective really resonates with me — an Ordained Minister with the AG for the past 18 years (who happens to be female). The issues that you raised were very similar to my own when I first started out in full-time professional ministry. It is sorely disappointing to find that after nearly two decades the AG still has not really moved forward with embracing gender diversity. Back in the day, church folks (including the pastor) scratched their heads as to why a single female would want to attend seminary — they thought I should just be happy teaching children’s Sunday School and find someone to marry in the local church. This was not what God had for me ….I knew that the harvest was truly plentiful but the laborers were few. The obstructionists I encountered were typically the ones sitting comfortably in the pews happy with the status quo — complacent. A chaplain friend of mine asked what I would do after the navy and if I wanted to be a senior pastor. I joked that as a female ordained minister with the AG, if I wanted to pastor a church I would have to start my own. My friend was in complete disbelief. He then seriously offered to help me transition to his denomination where female clergy are completely embraced and often serve in high leadership positions. I took this as a compliment. It was a very tempting offer, but I had to decline, since my roots are with the AG. It did, however, make me think of other women in ministry who might be stifled in the AG. I do believe that if the AG does not open doors of opportunity for women in its churches, it will lose out on the talent, passion, and skills of motivated individuals committed to God. Regrettably, these remarkable folks may leave the AG to reach their fullest potential in God elsewhere. It is my hope and prayer that those who read your blog post would be inspired to follow the call that God has on their lives (female or male). God opens doors and sometimes they are in unexpected places. I regret that you are finding it difficult (impossible) to break into ministry. I know the struggles you are facing because I am married to an ordained female minister who also is my co-pastor. When pastors and their wives hear that we co-pastor they turn to her and ask if she leads worship or does the Women’s ministry. I have yet to have anyone ask me if I lead worship or do the Men’s ministry. Together we pastor the church. We take turns preaching and handle separate portions of the administrative duties at the church. My wife and I are both graduates of SAGU so I know you are well prepared. I will say some of the problem lies with deacon boards that are filled with men (usually) who do not believe women should be in ministry. Some blame can also be placed on ministers who are busy reading books by ministers from other denominations who believe women have no place in ministry. Most of these ministers don’t mind single women going on the mission field but they refuse to see them as pastors. I believe pastors need to preach on the importance of women in ministry and how the A/G has been open to this since its existence. I hope you find someone who is willing to take a chance on you – soon. Dear heart… you are a precious gift to the church. Always see yourself that way. Be usable and available when the opportunity arises. I always counsel not to try to force the issue. It results in frustration, bitterness and a search for sympathy that will perhaps be solaced outside a healthy pentecostal atmosphere. It’s not “the sad commentary of a male-dominated culture inside the hierarchy of the church”. It sounds cold hearted but please understand, it is the way it is. The coming of the Holy Spirit in the first century church opened the door, yes but it did not bring any semblance of significant percentages of women in senior pastor leadership positions. It just didnt. An equality of numbers wont ever happen. Never intended. Male leadership is still and will always be the ideal. It’s just the way we are designed. What it did do was make those positions possible, and gave them legitimacy they had never had before. Praise God for it! Keep yourself open to it. That niche will open. Ministry will come. Don, I could not disagree with you more on this statement: “Male leadership is still and will always be the ideal. It’s just the way we are designed.” I say this with all the respect for you as a person, but this theology is “junk theology” I do not respect this statement. I also find your entire comment to be condescending and patronizing, which will never go well with me. It smacks of white male privilege… not Kingdom thinking..
Nice poem! Thanks for sharing! Jory, I didn’t present it as theology. I apologize that you understood it as such. I am just dealing with the realities of the situation that you already know all too well. I believe your ministry in whatever capacity you find it is perfectly legitimate, as the coming of the Holy Spirit and the message from Joel quoted on the day of Pentecost validates. I simply warn you not to be angry and try and force that on a church world that historically does not promote it. There are places where it works and other places where it would never work. Had equality been the command of the New Testament, there would have been clearer admonition regarding it and actual examples of women pastors. I am with you, even if you find my position condescending and patronizing. Blessings. Don’t be frustrated, you are where God wants you. In fact, there are far more males who are in the same place as you feeling shut out, for other numerous reasons. So please, fight the community order, but keep your heart pure. The door will open. Blessings. I live in the AG Mecca. Sometimes I feel, “Why bother?” The men ministers in the AG say they want equal rights but when it comes down to it, they choose men to be to staff. It is like saying, “I believe everyone should get a strong AG education at one of our schools.” Then those same men go the route of Berean, maybe with a district school of ministry. AG male ministers seem to have 1 standard for themseles and another standadd for others. That is not a complete picture of AG ministers in Springfield either. I’m am going to completely leave out the male/female issue and go straight to the Word of God with a couple or so quotes….